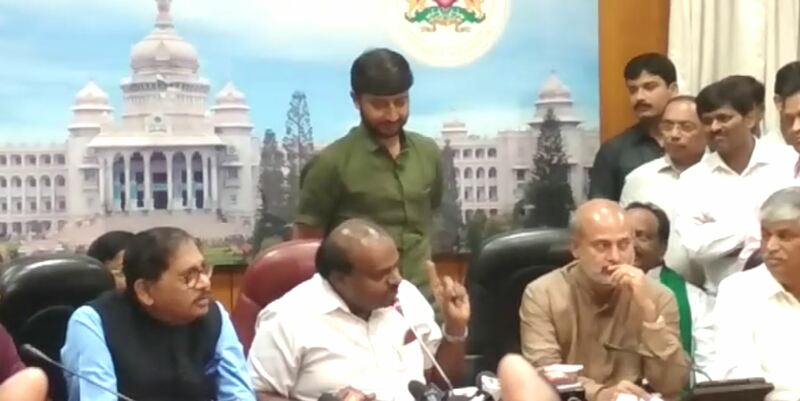 Bengaluru: CM Kumaraswamy on Friday morning released an explosive audio tape in which Yeddyurappa requesting Gurumitkal JD(S) MLA Nagangouda to join BJP. 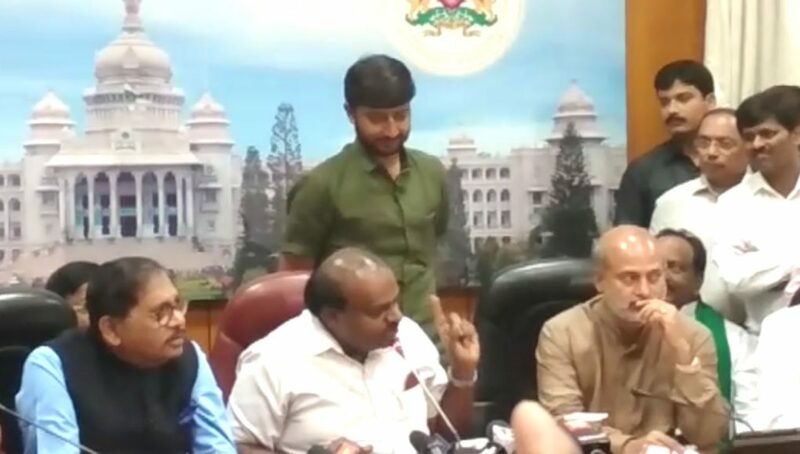 Kumaraswamy aired the audio tape recorded in a cellphone at a news conference. He said Yeddyurappa called Nagangouda’ son Sharangouda a few days ago and requested him to ask his father to join BJP, in return he could get more comforts. He said the aired audio tape was just a trailer and there are few more such offering attempts by BJP which would be exposed shortly. He said such kind of illegal politics has became common to BJP,people of the state ha thought they could change after Modi comes, however, they not changed. He said the budget which he would table at 12.30 pm was for people, opposing it was nothing but opposing people’s feature. BJP,by its agitation in the legislative house has insulted Governor Vala and Speaker Rameshkumar. Cooked Dumped Waste Meat Reason Leopard to Arrive Near Human Places?